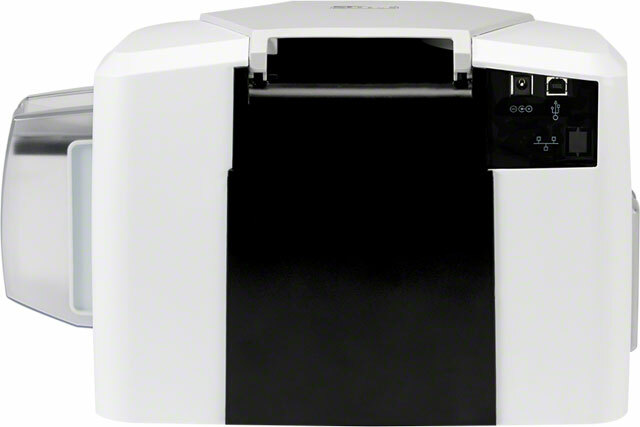 Featuring a sleek, compact design, the C50 makes it an easy to fit even in the smallest of office settings. 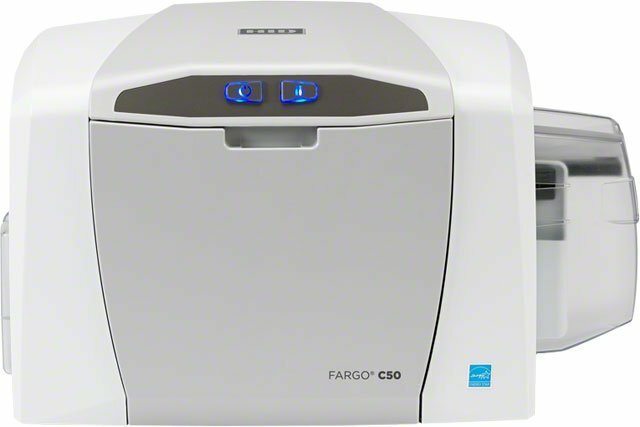 Designed with efficiency in mind, the C50 comes with built-in Swift ID badging software, automatic printer health monitoring via the included FARGO Workbench diagnostic utility and an easy to install, all-in-one printer ribbon and card cleaning cartridge, making your in-house card printing virtually worry-free. Premium Black (K) EZ Cartridge with Cleaning Roller, 1000 images per roll. The ribbon is used to print in one monochrome color: black. This ribbon is used to print text and one-color images one or both sides of the card. Compatible with DTC400, DTC1000, DTC4000, C50, DTC1000Me, DTC1250e, and DTC4250e. This part is also known as 045101. Black monochrome (KO) EZ Cartridge with Cleaning Roller, 500 images. The ribbon is used to print black text or images on the front of the card. The remaining overlay (O) provides an extra layer of protection for the card. Compatible with DTC400, DTC1000, DTC4000, DTC4500, C50, DTC1000Me, DTC1250e, DTC4250e, and DTC4500e. This part is also known as 045111. 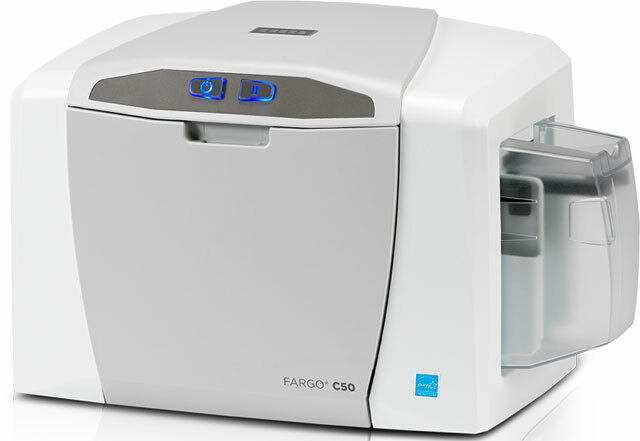 The Fargo 51702 is also known as Fargo Electronics	FGO-51702	.